WARNING!!! THIS IS A HIGH POWER HUNTING AIR RIFLE. MISUSE CAN CAUSE SERIOUS INJURY OR DEATH. IT IS THE USERS RESPONSIBITY TO KNOW ALL OF YOUR LOCAL LAWS AND RESTRICTIONS. EVIKE.COM AND ITS AFFILIATES CANNOT BE HELD RESPONSIBLE FOR ANY INJURIES, DEATH OR LEGAL ACTION THAT OCCURS FROM THE USE OF THIS PRODUCT. ALWAYS KNOW WHAT IS BEHIND YOUR TARGET, DO NOT POINT AT ANY HUMAN BEING. 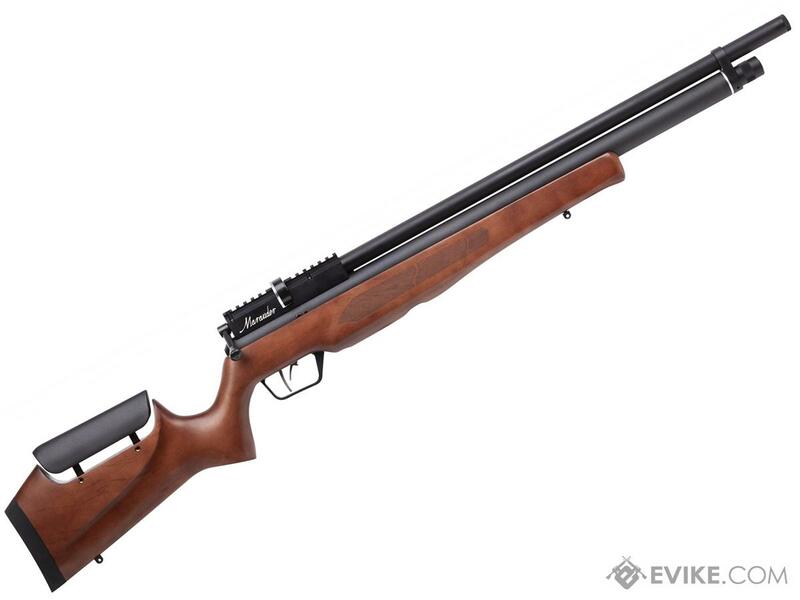 Discuss about Marauder PCP Air Rifle with Lothar Walther Barrel and Adjustable Hardwood Stock (.177 cal AIRGUN NOT AIRSOFT) with your friends and fellow Evike.com shoppers!